This cake was for my son’s 12th birthday. 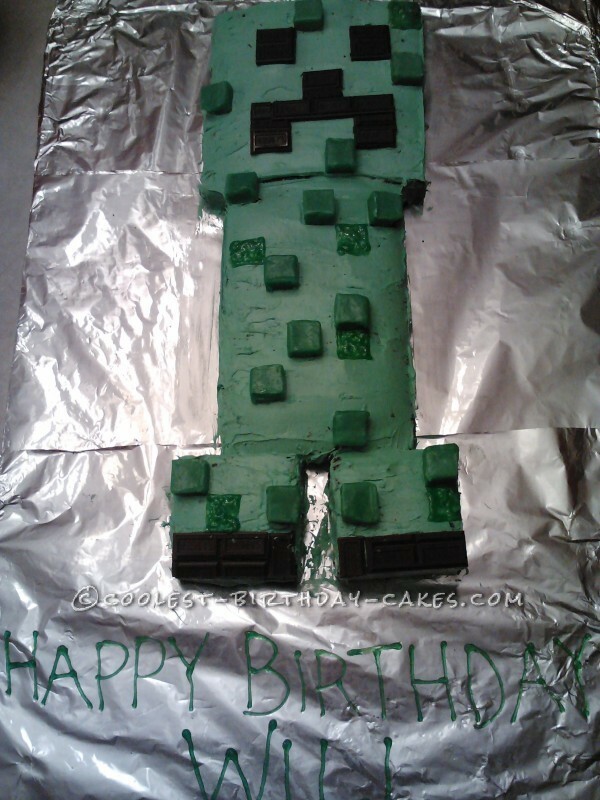 He and his friends love the game Minecraft and so I make a “Creeper” cake. It was pretty easy. I just baked two rectangular cakes. One I turned into a square for the head and cut two smaller squares from it to form the feet. The other rectangle cake was the main body. I placed them together and frosted it with green butter cream. I used Hershey bar squares for the face and bottom of the feet. 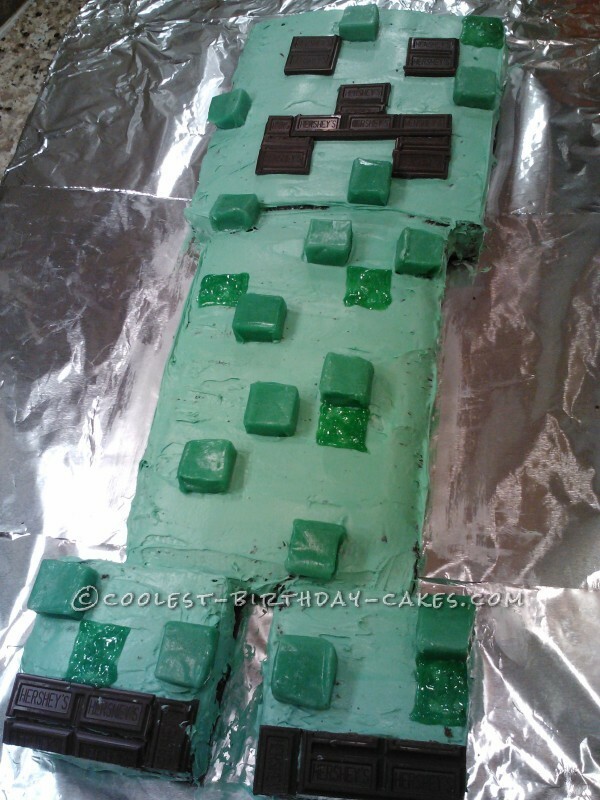 I gave it the pixel illusion by placing green Laffy Taffy pieces randomly on the creeper. I also made additional green squares (pixels) with green gel frosting that comes in a tube. The boys all loved this cake!